NetEntertainment does not offer a download type of software. 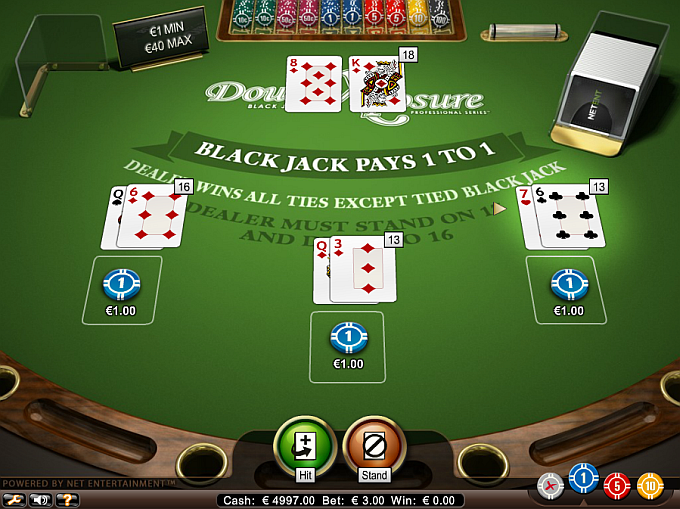 Players must choose between a java no-download version and a live dealer version. The games and rules are the same between the no download and live dealer versions. Both versions are slow in speed so it depends on whether the player would like to play with or without a dealer. Play is especially slow after the player busts. NetEntertainment software does not display the number of decks used in any of their online blackjack games. For our computing of payback, we assume there are eight decks. There are three different table limits to satisfy all levels of players. Players may play for as little as ten cents. High rollers can play as high as $500 per hand. These limits apply to every game that is offered. Players that use GBP and Euros can bet even higher based on currency exchange rates. Classic Blackjack is a standard blackjack game. 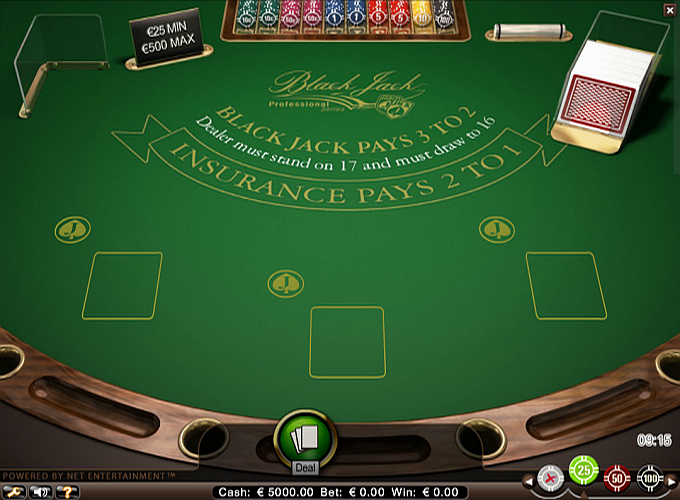 The rules are similar to other classic type online blackjack games. 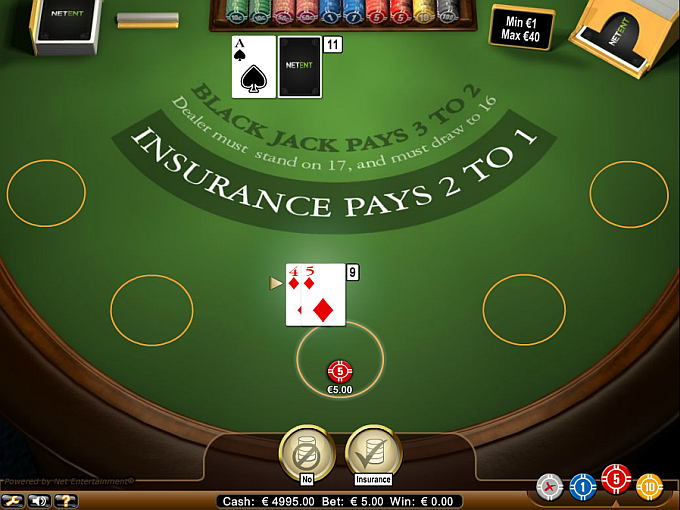 Blackjack Pro 3 Hand is a part of the Blackjack Professional Series. Players may play up to three hands. The rules are the same as the Classic Blackjack game. The only difference is the side bet. The side bet is based on the number and suit of jacks dealt to a player on their first two cards. Double Exposure Blackjack is a game where both dealer cards are dealt face up. Players may play up to three hands in Double Exposure Blackjack. 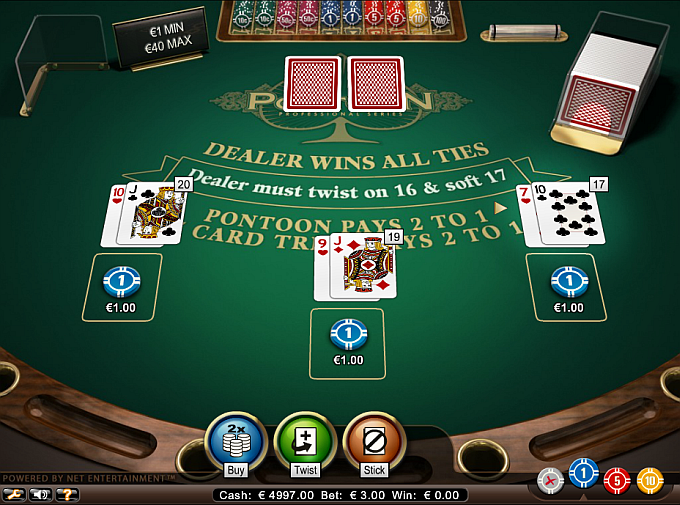 Players must beat the dealer’s hand. All ties lose except for when the dealer and player both are dealt blackjack. In that case, the player pushes. Players may only play one hand in Single Deck Blackjack. The rules are tight for this game. 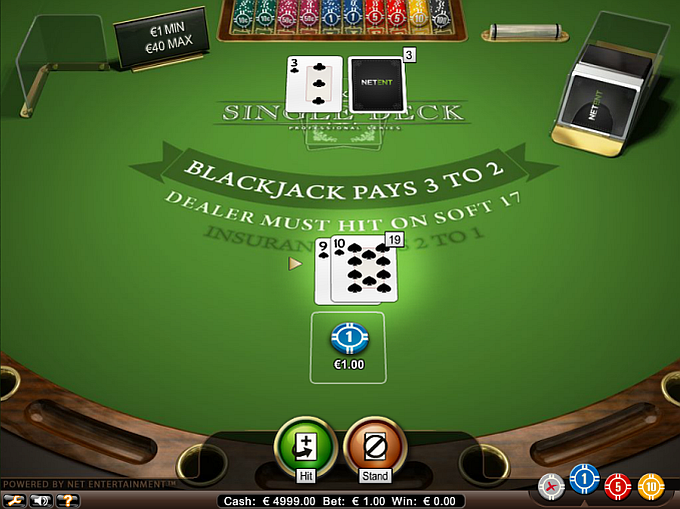 Players do receive 3-2 on a blackjack. This makes up for some of the tight rules. Pontoon players may play up to three hands at a time. The best hand in Pontoon is a natural Pontoon, which is a natural blackjack. A Pontoon pays 2-1. A player still qualifies for a 2-1 Pontoon even after splitting aces. A Five Card Trick is the second best hand. This is a five card hand that does not bust. Both hands pay 2-1. The rules are standard Pontoon rules.